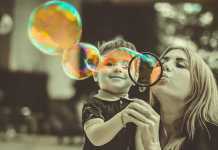 Here is another brain game, which is normally solved by children pending a few minutes, but sometimes it occurs difficult for adults, who spend much time to find the solution. Try to solve this riddle. 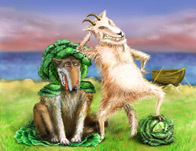 You are standing on the riverside with a goat, a wolf and a big cabbage. You need to bring the goat, the wolf and the cabbage to another river bank. There a no bridges. To do this, you only have a boat. But the boat is so small, that there is only place for two: for you and something (someone) else. You can not leave the wolf with the goat unattended. Neither can you leave the goat with the cabbage alone. How will you bring them three to another river bank? You will find the solution in the next brain game. You are always welcome to ask questions about the task, in case something is not clear. But sorry, I will not answer leading questions. The answer to the previous brain game is a hole, that is right! Many of you found it. Congratulations to Jason, who was the first with the solution, Mike, Greg, L. Watts, Tres, Brad, Doug Subjeck, Roberto, Howard Mooney, Nicole. The answers of Chris, Jewel, Phil and Mike are really creative :). Thanks for your participation! Very well done! 1. Take the goat to the other side. 3. Take the wolf to the other side. 4. Row back with the goat. 5. Take the cabbage to the other side. 7. Take the goat to the other side. Your first trip must be with the goat, since it’s safe to leave the wolf and cabbage unattended. Your return trip is alone, and then you can take either wolf or cabbage across, trade for the goat, return, trade goat for remaining item, cross over, drop off, now wolf and cabbage are together on the other side. Return to the start, pick up the goat, and cross over once more to complete the journey. And keep your eyes open for that goat! I love Allen’s answer – don’t need to do a whole lot of rowing either. My husband and I worked on this the other day and think we have the right answer. I came back today to find out whether we did, or not, and I can’t find the answer. Since I’m brand new to the site, I think there may be something I don’t understand. All I can see for the answer is the answer to a previous riddle, “the hole.” Can someone please direct me to the answer? Are correct answers posted every day? Thank you. TRIP 1: Take the wolf and the cabbage to the far side. TRIP 2: Take the goat to the far side. Hello, Anne, thank you for you interest to the brain game. I have just sent you an email. think i would throw in wolf and goat into boat… take cabbage under my arm and push off …u didn’t say u couldn’t touch boat so i would hold on to boat and float across with boat. I heard this riddle before. It was a Hmong Riddle. First of all is to take the goat and so on.